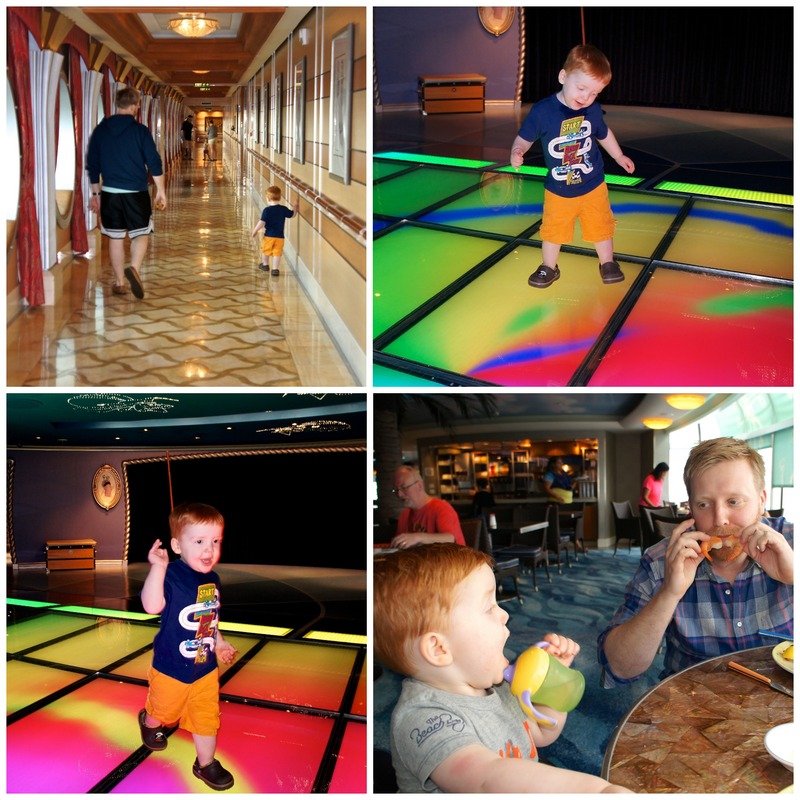 The words “Disney Cruise” used to make me think of cartoon characters dancing in my face as I tried to shovel a buffet meal down my throat, so the idea didn’t appeal to me until I had children. Even then, I was skeptical. We just went on our second Disney Cruise, though, and I’m happy to say my initial bias couldn’t be further from reality. The most surprising thing about the cruise-is how “un-Disney” it really is. A lot of times there were far fewer children to be seen than in non-family resorts we’ve visited. 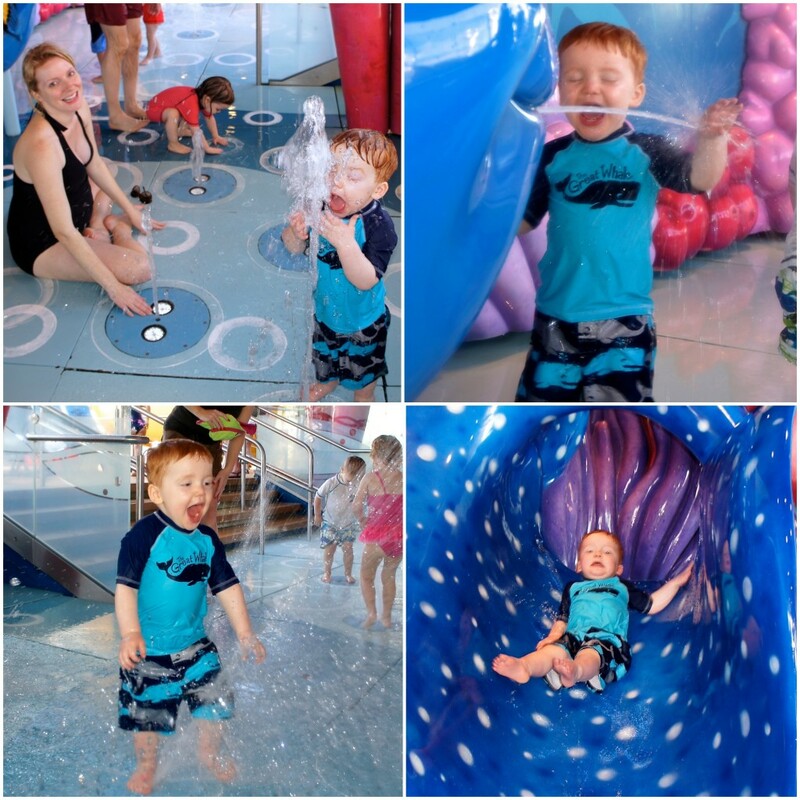 The kids that were around were happy and adorable, taking pictures with their favorite characters (who are in the main hall for designated photo times, not ever in the dining room or adult areas), playing at the awesome kids activities centers, or riding the Aqua Duck. 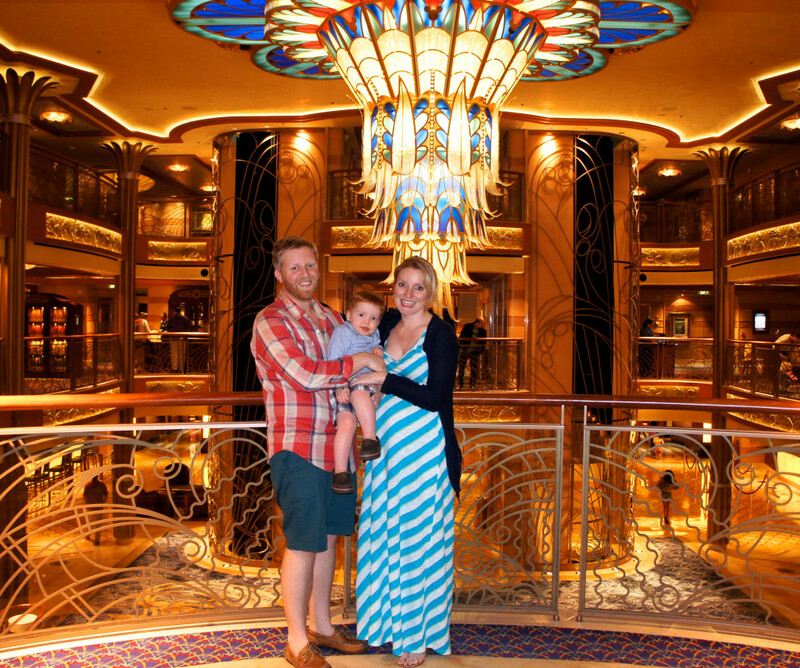 The ship itself, The Disney Dream, is Art Deco inspired. It’s about as far from “Mickey Mouse” as you can imagine. The style is reminiscent of the Titanic with a beautiful grand hall and impressive formal staircase. It’s also the most immaculate place I’ve ever been. We watched crew members polish the plumbing pipes and wipe each individual slat of the vents. The pool deck was manned at all times by multiple guys with squeegees wiping away any standing water. I saw crew scrubbing spots from the rugs in the hallways, cleaning out the drains, and pressure washing the hull of the ship at every port. It was non-stop scrubbing, but everyone who worked there seemed to thoroughly enjoy their job. The service was incredible, kind, friendly, and as accommodating as anything I’ve ever experienced. Every aspect of our trip was above and beyond my expectations. We were genuinely sad to go home. I actually liked the fact that internet usage had a pricey per minute cost. It forced us to leave our phones and computers off and just enjoy being together without any distractions. Although reality hit the minute we got back to Florida and Jason saw that he had 180 work e-mails to read. Book an airport transfer through Disney and bring swimsuits in your carry-on. You can walk right off the plane to the bus, bypassing baggage claim. They will get your bags for you and drop them off in your room. It can take a few hours for your stuff to arrive, though, so bring your swimwear and you can head to the pool when it is the least crowded. Reserve a Guarantee Room-A Guarantee Room will say Restrictions Apply beneath the price on their web-site. They aren’t offered on every ship, usually just ones that are closer to their sale dates and haven’t filled up. 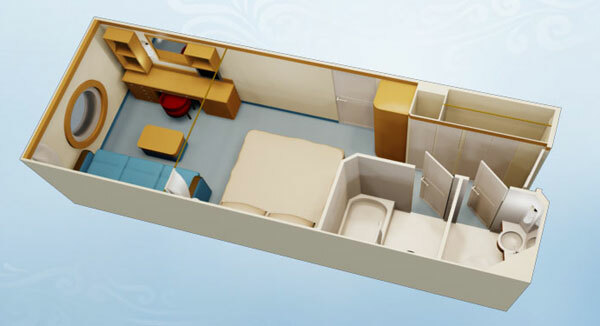 The rate is about $250 less than an assigned cabin and it guarantees you the category (i.e. ocean view, verandah, etc.) without assigning a specific room. Then when you arrive, you get the best available option. If you’re traveling with young children who nap, don’t reserve an interior stateroom. You want at least an oceanview or verandah category. 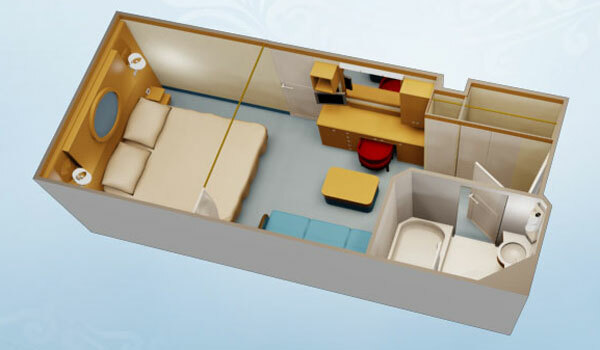 Check out these floor plans: The interior stateroom (pictured above) has the secondary sleeping are where the sofa is, in the front half of the room. Usually there is a drop down or murphy bed, and you can request a pack-n-play. The curtain that partitions the room is very heavy, and we brought a sound machine for Grant, so we could watch movies while he napped. In the oceanview or verandah categories, the secondary sleeping area is in the back half of the room, like below: So while he was asleep, we could access the bathroom or one of us could leave without worrying about waking him up. Reserve nursery time as soon as possible-For kids under three, the nursery is $6 an hour and has to be reserved. As a stay at home mom, I was worried Grant wasn’t going to let me leave him. 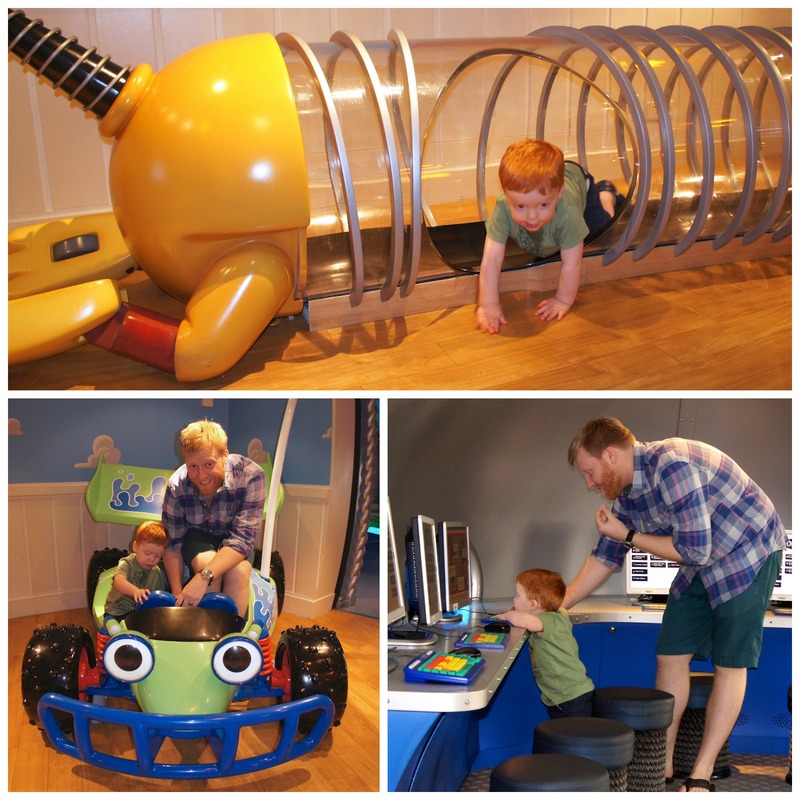 He had so much fun, though, we would walk inside and he would run into the play area without giving us a second look. We were able to book 9 hours online before we left, so we reserved time from 8-11 for the first three nights, then as soon as we got on the ship we walked to the nursery to request the additional hours we wanted before everyone else got the time slots. By the end of the cruise it starts to fill up and is harder to find availability. If you’re traveling with young children who won’t sit through the shows, request the first dinner seating so that you can see the late show after they’re in the nursery. Palo, the specialty dining, is well worth the $25 per person charge (which includes gratuity). We went on pirate night, which we remembered as the worst dining room meal of the cruise from our last trip, and were not disappointed. Palo is right up there with any of the better restaurants in the DC area. 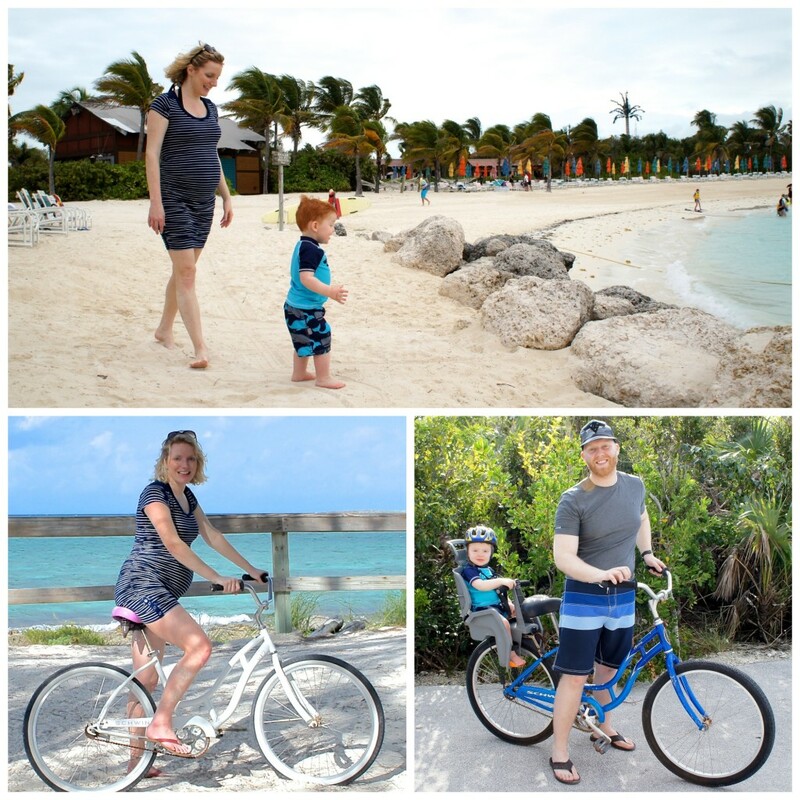 Castaway Cay is Disney’s private island and the best part of the vacation. We got off the ship early, before it was crowded, and rented bicycles to ride around the island. That was one of the highlights of our trip. I’m pregnant and not up for a vigorous biking experience, but the island is very flat and was an easy ride. Anytime it says “open house” in the Oceanear Club schedule, young kids can go in with their parents. 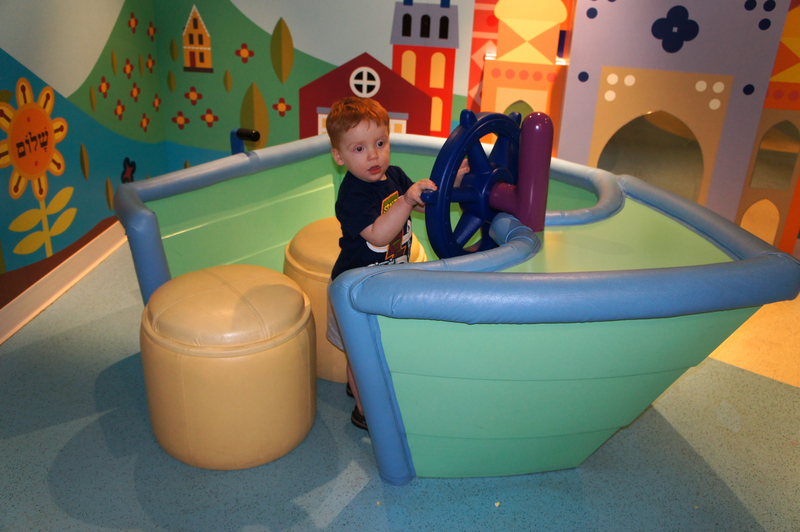 This is usually the activity center for kids 3-11, but Grant had a great time playing with us. The Meridien Bar is located on the 12th floor of the ship by Palo and Remy, it’s very quiet and secluded, and the drinks were the best Jason had on the ship. As far as an adults only area, this is where you want to be. Wear a watch. There are hardly any clocks on the boat, and the activities are on a schedule. Jason had his watch with him, but he wished he had brought a cheap waterproof one that he could have worn at all times. If you need a pack-n-play and a Diaper Genie, request it when you book your trip. We forgot to do that this time, and they were out of Diaper Genies when we got to the ship, so we had to run out to find a trash can whenever we needed one. When you enter your room there is a slot to put your key card in to activate the electricity. When we needed to charge our phones or the IPad while we were out on the ship, we put an old gift card in the slot to leave the power on. You can bring alcohol. Most cruise lines only let you purchase alcohol onboard, but Disney allows you to bring it with you. Just leave it in your carry on bag, because they don’t want breakable bottles in luggage. There are tons of On Demand movies in the room, any Disney movie you can think of, plus some adult selections. That was nice at night. The dining room can be as casual or dressy as you want it to be. 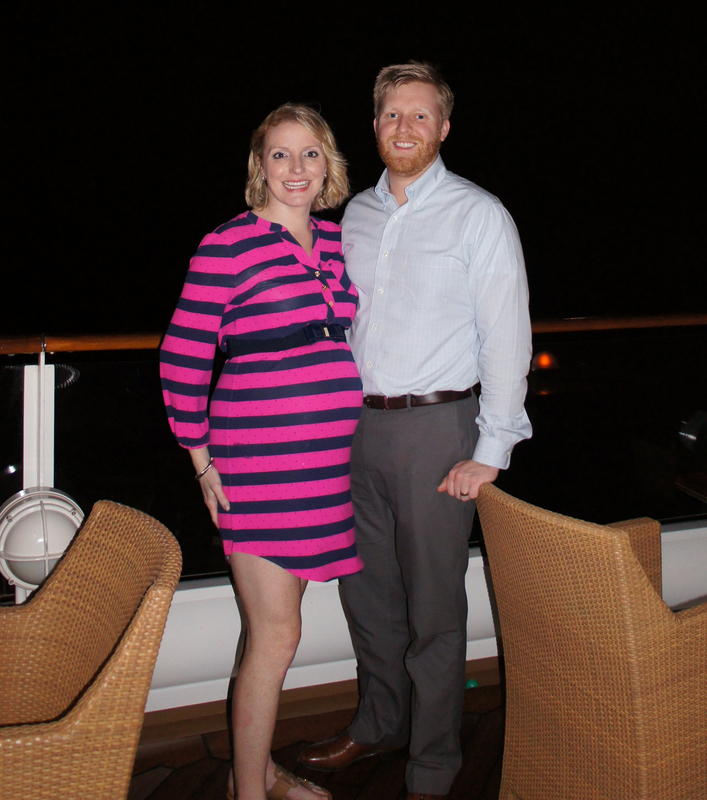 Being pregnant, nothing fits, so it was nice to have the option of wearing a sundress to dinner. Plenty of people dressed up every night, but others were still wearing shorts. 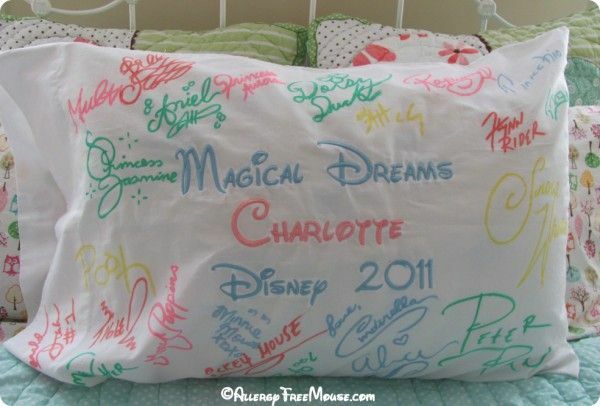 Bring a pillowcase or picture frame matte for the characters to sign and drop it off at guest services on the first day with different colored Sharpie markers, it makes a great souvenir for the little guys. How cute is that? Bring your own Princess dress or costume for the kids-they’re $65 onboard and by the last day, every little girl is dressed as her favorite princess. I’m sure you can find them on Amazon for half the price. The coffee on the ship is weak (we’re big espresso drinkers), but you can get a great cappuccino onboard at the coffee shops, ask for a punch card and after 5 you get one free. The only other tip I can think of is to stay for as long as you can! We wish we had booked a 7-day instead of a 4 this time, because we really didn’t want to leave. We’re already counting down to next year’s vacation. 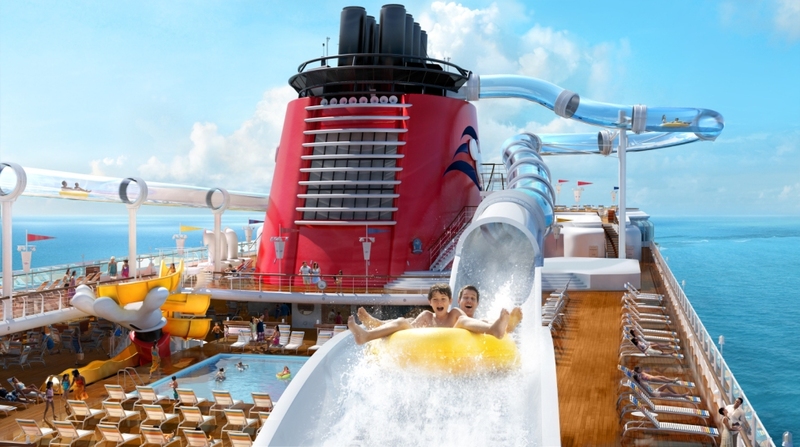 A Disney Cruise isn’t Disney World, you can go back to your room when the kids get tired and put them down for a nap. Your vacation can be as fast paced or as relaxed as you want. For the parents who wanted to spend time together and leave their kids in the activity centers the whole time, those kids seemed geniunely happy. 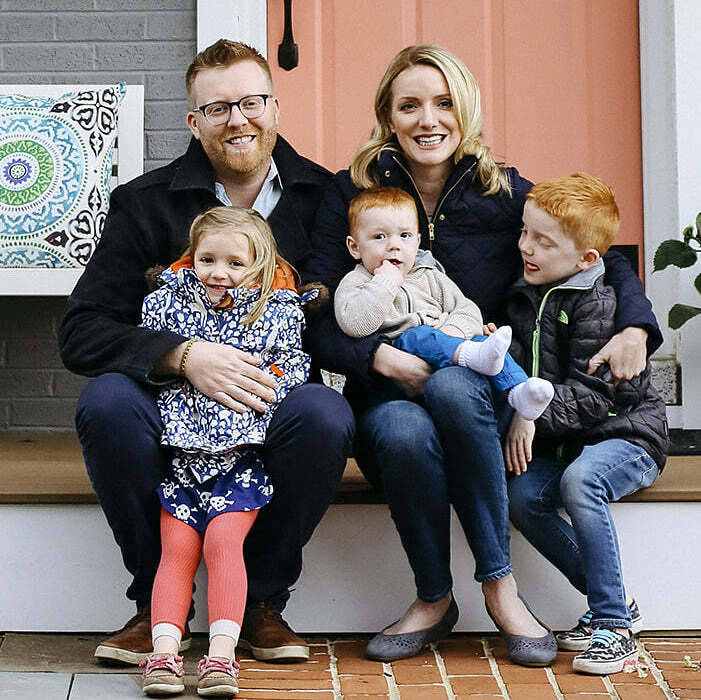 For people like us, who wanted to spend the day together as a family and then enjoy adult time after our son went to sleep, that was an option, too. I don’t know that this is the vacation I would take if I weren’t a parent, but after having kids, this is where we will be spending our yearly holiday for quite awhile.